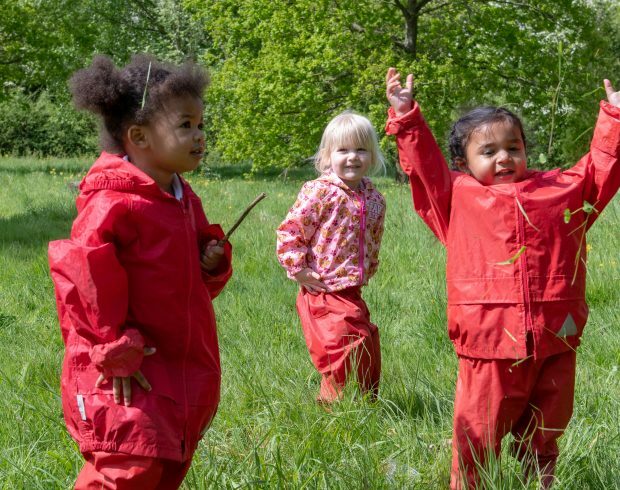 The girls explore the wild area, climb, scramble, use tools, make dens, build homes for animals, mix up magic potions and investigate the mini-beasts! The girls learn at their own pace and revisit activities whenever they wish. By helping each other and managing risks, they gain more independence and self-confidence every day. To take a look at the fun our girls enjoy at Forest School, please click here to view some photos. I like hopping up and down in muddy puddles. I made things with leaves, branches, feather and flowers. I looked for frogs in the lake. We make dens out of sticks.